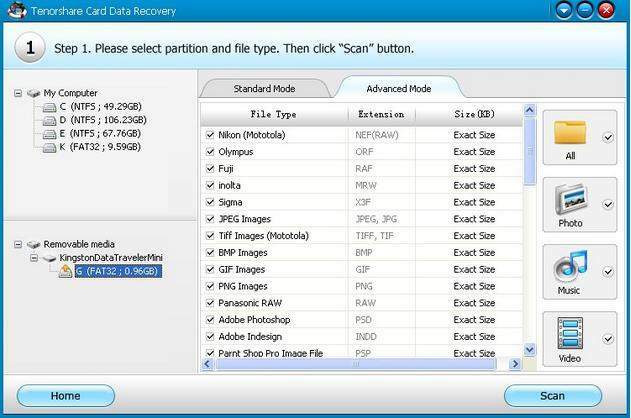 How to Recover Photos from Memory Stick? Memory Stick (including Memory Stick, Memory Stick Select, PRO, Duo, PRO Duo, XC, M2, PRO-HG Duo, and PRO-HG Duo HX) are widely applied in Sony's digital products including Sony digital cameras, cell phones and Play Station Portable (PSP). In the process of using your digital camera or mobile phones, we may come across the scenario of deleting photos or formatting memory stick, then how to recover files from meory stick? Like other storage card, when you delete pictures, the images are not deleted permanently, it just vacate space for new photos. If it is not overwritten, you can get them back. When your memory stick becomes corrupted or damaged resulted in error messages like “card not found”, “card not formatted”, “no image found”, etc, don't panic, too. In most cases, photos are still on the memory stick and are recoverable. Card Data Recovery for Windows is a nice memory stick data recovery software. It can easily help you retrieve lost photos, videos and other data from memory sticks. It also has a Mac version, if you're running Mac OS X 10.10 Yosemite, 10.9 Mavericks, 10.8 and under. Step1. 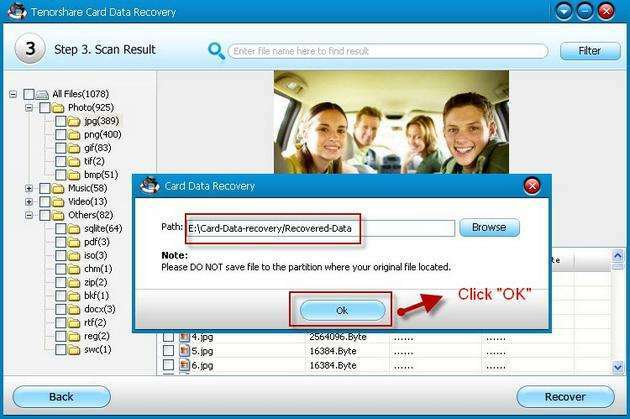 Download Card Data Recovery and install it on your PC. Run it and click "Start" on the home screen. Step2. Connect the device to your computer with a USB cable, or place the memory stick into a card reader and plug it into the computer. Step3. 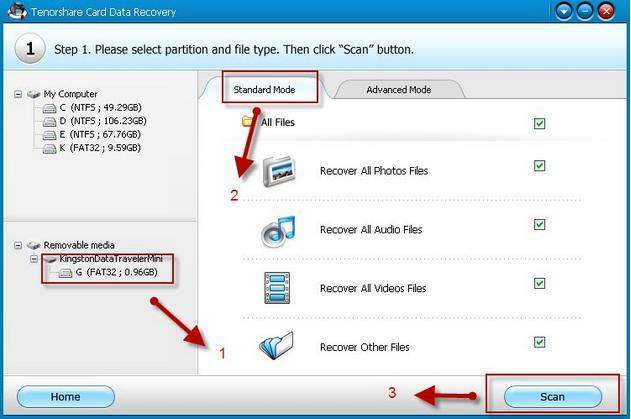 Select your memory stick and select one recovery modes: Standard Mode or Advanced Mode. For the former, then select the file types; for the latter, then select the file formats. And then click “scan”. Step4. In the task list, choose the files you want to recover and click “recover” to start recovery. You can preview the photos and audios before recovery. 1. If your memory stick can't detected by your PC and appear as a drive letter in “My Computer”, a memory stick reader is needed. 2. The recovered data should not be saved to the memory stick as it may destroy the data on it. Therefore, choose another storage device. How to Recover Photos from Mobile Phone Memory Card? How to Solve the Problem of "Memory Card Error"